Chiodos is a band I first discovered during my brief phase of emo obsession during college. Well, rather faux obsession, as I will never be mistaken for an emo boy, as even when I lost a bunch of weight and grew my hair long, I still resembled either a 70s rocker or a mopey indie musician trying to look like a 70s rocker. I will never, ever be one to pull off skinny jeans or hair cuts that would make A Flock of Seagulls proud. Anyway, during my senior year of college, I found that the only common point musically for all my friends and acquaintances were various bands that fell under the general term "emo." 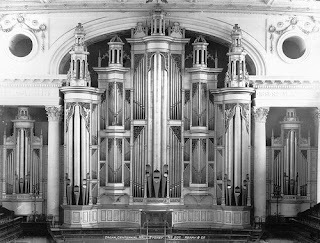 If I was going to discuss or write about music without receiving blank stares, I had to adapt to others' tastes. During that year I purchased and listened to lots of music I wouldn't get near anymore, but I also found some groups that had some redeeming qualities, at least to my ears. Chiodos was one of those. On their first two albums, Chiodos fused punk and metal with a large dose of gothic theatrics. Most songs had some air of dark atmospherics, which managed to make standard lyrics about teenage angst sound almost sinister. They'd be a less commercial My Chemical Romance copy if it wasn't for their secret weapon: singer Craig Owens, a boy who didn't sing, he wailed like a banshee. Unlike many similar bands, he relied on an eerie, ear splitting howl rather than generic screams or Cookie Monster growls. It worked beautifully, creating a sound that was unique yet familiar, and was actually comprehensible enough you could understand much of the lyrics. When he wasn't collapsing his lungs singing, Owens apparently developed quite an attitude that clashed with the rest of the band. As other sufferers of Frontman's Ego, like David Lee Roth, have discovered, the rest of the band could only tolerate so much, and finally fired him from the group. 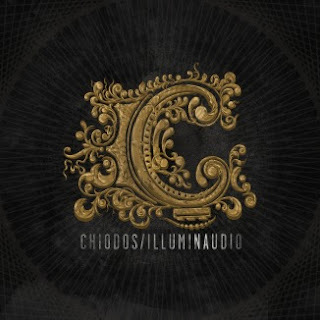 They found a new singer, kept the name Chiodos, and crafted Illuminaudio, their answer to those critics who thought the band was made by their lead singer. Unfortunately, those critics might be right. While their new singer isn't terrible, he's no replacement for Owen's wail. In fact, he's rather generic, often resorting to incomprehensible screaming that sounds like a legion of screamo and metal bands with a lack of ideas. The songs still keep some of that dark energy, but many end up rather bland and forgettable. It's not a bad album, but it's also not worth giving much attention. Given some time the band will hopefully find their way with the new singer, but they have a ways to go. Verdict: Worth buying for fans of the band, and definitely not unlistenable, but there are far better albums to spend money on right now. I dunno. I think the emo-cut would look good on you.